John Mark Comer lives, works, and writes in the urban core of Portland, Oregon, with his wife, Tammy, and their three children, Jude, Moses, and Sunday. He is the pastor for teaching and vision at Bridgetown Church. Prior to planting Bridgetown, John Mark was the lead pastor of a suburban megachurch. Before that, he played in a band. John Mark has a master’s degree in biblical and theological studies from Western Seminary and is the author of Garden City, Loveology and newly released God Has a Name. 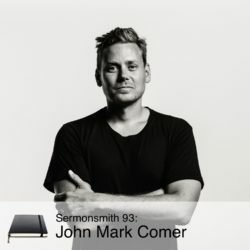 For more of John Mark’s teachings on the Scriptures, Jesus, and life, go to bridgetown.church and sign up for the podcast or visit johnmarkcomer.com.